Baby makes three! 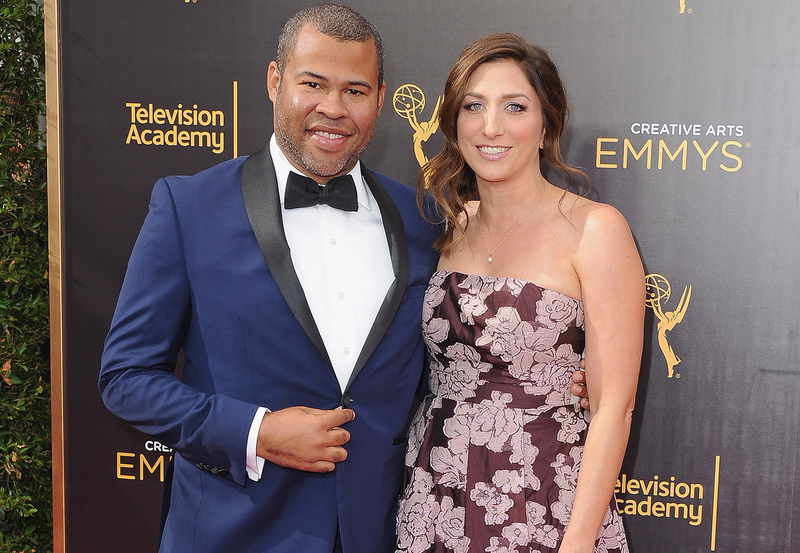 Chelsea Peretti revealed on Saturday, February 4, that she&apos;s pregnant and expecting her first child with her husband, Jordan Peele. "Beyonce schmonce," the Brooklyn Nine-Nine actress wrote, referencing Beyoncé&apos;s headline-making announcement on Wednesday, February 1, that she&apos;s expecting twins with husband Jay Z. In Peretti&apos;s Instagram selfie, she dons a beige cardigan and shows off her growing baby bump in a tight gray shirt. Peretti, 38, and Peele, 37, tied the knot in a surprise ceremony last year. She announced the news on Instagram in April 2016, sharing a photo of her dog sitting next to a bouquet of flowers and a wedding band. "Eloped a bit ago … our only witness was this lil guy," she captioned the post. The Key & Peele co-creator later confirmed the union during an appearance on Late Night with Seth Meyers. "I am married to actress Chelsea Peretti," he not-so-subtly announced during a game of trivia. The low-key couple enjoyed a honeymoon in Portofino, Italy, in July 2016, following Peele&apos;s now-infamous passport mixup. Peretti and Peele, who started dating in 2012, got engaged in November 2015. "My fiance (lololol) #JordanPeele proposed to me last night during the family talent show lolol," Peretti wrote on Twitter alongside two flower emojis and a red heart. The Fargo alum, meanwhile, simply tweeted a diamond ring emoji.